Seasonal hotel jobs provide students with valuable work experience during summer vacation. A summer job at a hotel provides an opportunity to make money and gain work experience -- a valuable commodity when applying for jobs after graduation. If you want to earn a good reference for future versions of your resume, go into the job search process knowing how long you can work and how qualified you are for a given position. College career centers may maintain a list of available summer jobs. Look for hotel jobs under the job category of hospitality services. The hospitality industry includes hotel work as well as restaurant, theme park, cruise ship and other travel-oriented jobs. If your school doesn't have a career center, look up the hotels in your area. Many hotels that are part of a larger chain list job openings through the careers or jobs section of the chain website and also accept applications online. Online application systems for most service industry jobs feature a series of Web forms that supply your potential employer with your name, personal information and work history. You may also need to grant the hotel permission to run a background check on you. Consider making a follow-up call or visit to the hotel to verify it received your online application and, if possible, speak to the manager about why you look forward to working at the hotel. When online applications aren't available for your preferred employer, visit the hotel with a prepared resume and inquire about openings. If the hotel requires the use of a standard application, simply transfer the relevant information and dates from your resume to the form. 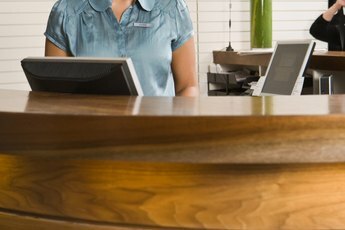 During its busy season, a hotel generally needs extra personnel across all roles. For high school students without prior work experience, basic hospitality jobs such as housekeeping or waiting tables in the hotel restaurant help develop customer service savvy and a strong worth ethic. If you've developed a specific set of skills in college or have prior experience with financial accounting, spreadsheets or customer service, consider applying for a job as a clerk or a night manager. When you get the job, working at a position that matches your strengths and career path will help prepare you for your future career. Many businesses in the hospitality industry rely on seasonal workers to meet the added demand for services during peak travel periods. When you look for work for the summer, locate seasonal employment opportunities or positions that otherwise indicate the job is for a limited period of time, such as Memorial Day through Labor Day. By picking a work opportunity with a specific employment window, you avoid leaving your employer in the lurch when a new school year starts and stand a better chance of receiving a good reference. The hotel may also ask you back for the next tourist season. For example, according to the Vermont Department of Labor, many seasonal employees in the hospitality industry return to the same position year after year. 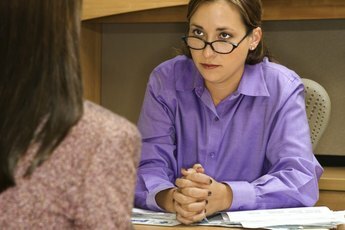 Should I Bring a Resume to a Grocery Store Interview?